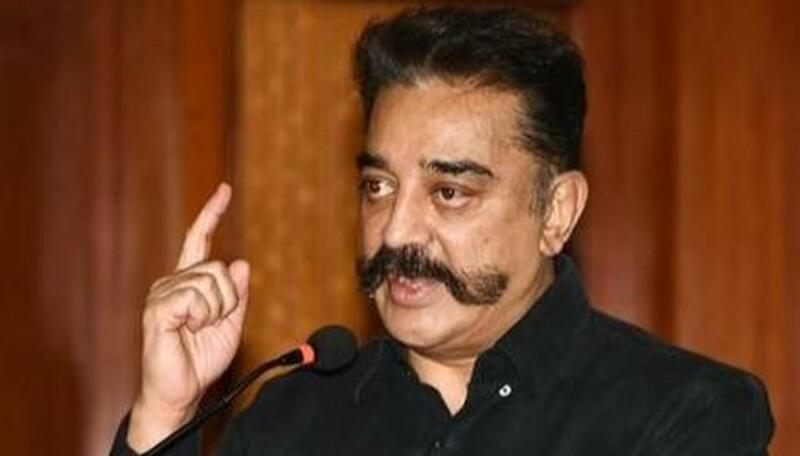 Makkal Needhi Maiam chief Kamal Haasan in a personal attack to Prime Minister Narendra Modi has accused him of politicising the forces. "We are all a family. There is casteism and racism. We must remember that they are all one family. A tamizhian who forgets this cannot develop. They are still troubling us. One party asked them to shoot the people. The protected the organisation. Don't politicise the forces. It is not good that the Prime Minister politicizes forces. They should say that the Armed Forces are 'ours' not' mine'." Defence Minister Nirmala Sitharaman on Sunday, April 14, said neither Prime Minister Narendra Modi nor any other NDA leader wanted to politicise armed forces and there was nothing wrong in talking about the political will giving freedom to the forces to take action as they deem fit. "Nobody wants to politicise the armed forces, not particularly myself or prime minister or anybody from (government). We don't want to politicise the armed forces, she said. Sitharaman sought to know whether it was wrong to compare how "weak" the Manmohan Singh-led government was in 2008 post-Mumbai attacks and the how "strong" the Modi government was now in 2019 after the Pulwama terror attack by Jaish-e-Mohammed which killed 40 CRPF Jawans in February. "And then the political will, based on sound intelligence information, gives the freedom to the armed forces to take the necessary action as they deemed fit. Is it wrong to say it? That is not politicisation of the armed forces, the Defence Minister asserted. She asked the people to differentiate between politicisation and talking about the political will. Congress and other opposition parties have objected to Modi and several other BJP leaders referring to IAF's air strikes on terror camp in Balakot and mentioning the valour of the armed forces in defending the country.